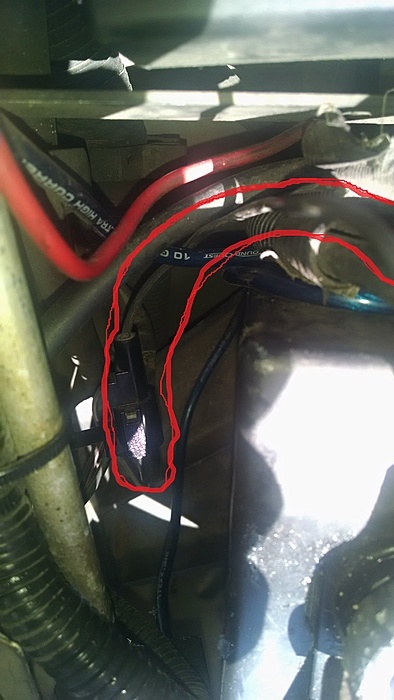 So im working on replacing the old terminals (because theyre old and busted) with the military spec terminals that allows me to attach it with lug end cables and make it easier to work on wiring. I have all I need, I have the crimper, I believe these are 6 guage cables so I got the lugs for that, but I also got 4 guage lugs just incase, but theres a little black wire attached to the old terminals and im not sure what to do with it. I marked it to make it easier to see what I mean. I do have a guage measurement, but I dont want to cut any wires until I know for sure for what I should do with that. that little wire goes into a big plastic hose that has a bunch of smaller wires. gotta get it in there somehow. Battery Terminals with extra options for adding accessories? 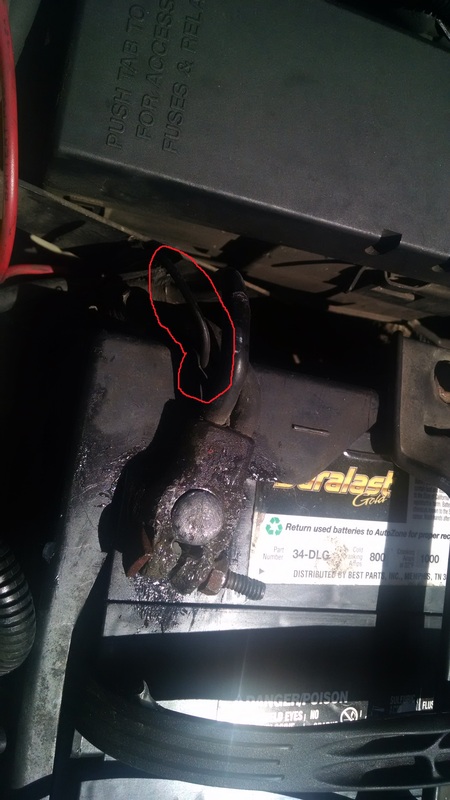 Won't start after replacing battery terminals.